A film about Mario Moreno’s life, titled as: Cantinflas, is planned to be premiered on August 12, 2011, which is the 100 years anniversary of Cantinflas’ Birthday. Several actors has expressed their intentions to portray Cantinflas, like Diego Luna, and the Colombian John Leguizamo. Both were rejected. 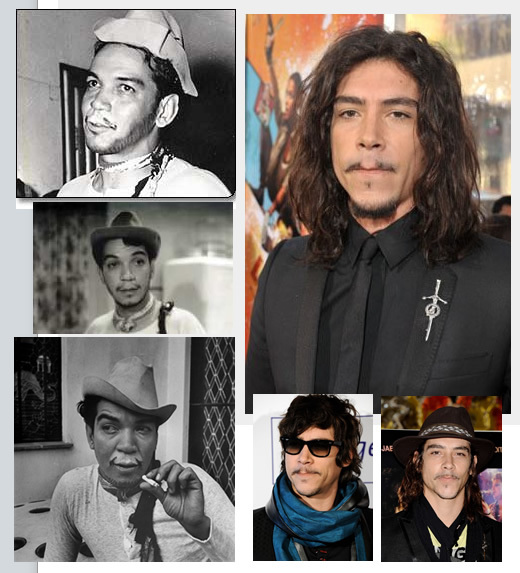 The chosen one is the Spanish actor Óscar Jaenada, who physically is very similar to Cantinflas, specially in the shape of his mouth (between the upper lip and his nose), he really looks like a young Cantinflas from 1940. But there can’t be one big problem. I am not against to foreigners actors playing roles of other nationalities, but in the case of a huge Mexican Icon like Cantinflas the case can be very delicate. Cantinflas is known to have re-invented the language with his cantinfleadas (a word that even was added to the Spanish Dictionary: RAE.es). Cantinflas fame was based in his special way to speak (very Mexican), his roguery, and his Mexican spirit. Óscar Jaenada will have to battle to obtain the accent, and a lot of Mexicans will be against his performance from the beginning just based in the nationalism of the character. Just the time will tell, I personally wish him good luck and I hope that his talent will help him in this hard task. In the other side, Diego Luna as Cantinflas would have been a big mistake, he does not look like Cantinflas at all. If Óscar Jaenada manages to act as Cantinflas flawless, his career will be catapulted to new high levels (maybe with an Oscar nomination), but if he fails, he will win the hate of a hole nation and many fans. Óscar Jaenada won a Goya Award in 2005 and recently was part of The Losers cast, together with Zoe Saldaña (Avatar) and Chris Evans (Captain America). Cantinflas script is written by the Argentinian Gabriela Tagliavini and it will be directed by Alejandro Gómez Monteverde (Bella). Óscar Jaenada was interviewed in Puerto Rico about his role as Cougar in THE LOSERS. This is the prime scene of Cantinflas speaking in his specific way: cantinfleando, in the classic movie: Ahí está el detalle, one of my favorites.